New PID for Nour El Sham: PID:308[MPEG-4]/44 Arabic SID:3 (11592.00MHz, pol.V SR:5426 FEC:5/6 - Clear). A new channel has started in DVB-S2 Clear: Nour El Sham (undefined) on 11592.00MHz, pol.V SR:5426 FEC:3/4 SID:3 PID:308/256 Arabic,257. A new channel has started in DVB-S Clear: Nour El Sham (undefined) on 11179.00MHz, pol.H SR:27500 FEC:5/6 SID:86 PID:3202/3302 Arabic. A new channel has started in DVB-S Clear: Nour El Sham (undefined) on 11179.00MHz, pol.H SR:27500 FEC:5/6 SID:73 PID:3189/3289. A new channel has started in DVB-S Clear: Nour El Sham (undefined) on 3964.00MHz, pol.R SR:27500 FEC:3/4 SID:1810 PID:2110/2210 Arabic. Nour El Sham is back on 12054.00MHz, pol.V SR:27500 FEC:3/4 SID:1810 after a break ( PID:2110/2210 Arabic - Clear). A new channel has started in DVB-S Clear: Nour El Sham (undefined) on 11976.82MHz, pol.V SR:27500 FEC:3/4 SID:1810 PID:2110/2210 Arabic. A new channel has started in DVB-S Clear: Nour El Sham (undefined) on 12729.00MHz, pol.H SR:27500 FEC:5/6 SID:607 PID:1607/2607. New FEC for Nour El Sham on 10921.97MHz, pol.V: FEC:5/6 ( SR:27500 SID:2043 PID:97/98 Arabic - Clear). Nour El Sham switched to Eutelsat 3B satellite at 11511.00MHz, pol.V (DVB-S , 11511.00MHz, pol.V SR:27500 FEC:3/4 PID:97/98 Arabic). 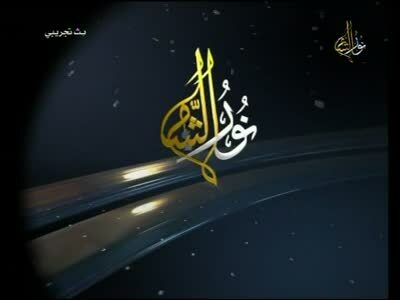 New frequency for Nour El Sham: 11508.00MHz, pol.H (DVB-S SR:2700 FEC:3/4 SID:1 PID:308/256 Arabic- Clear). A new channel has started in DVB-S Clear: Nour El Sham (undefined) on 11511.00MHz, pol.V SR:27500 FEC:3/4 SID:2043 PID:97/98 Arabic. Nour El Sham switched to Eutelsat 7 West A satellite at 10911.00MHz, pol.V (DVB-S , 10911.00MHz, pol.V SR:27500 FEC:3/4 PID:97/98 Arabic). A new channel has started in DVB-S Clear: Nour El Sham (undefined) on 10911.00MHz, pol.V SR:27500 FEC:3/4 SID:2043 PID:97/98 Arabic.